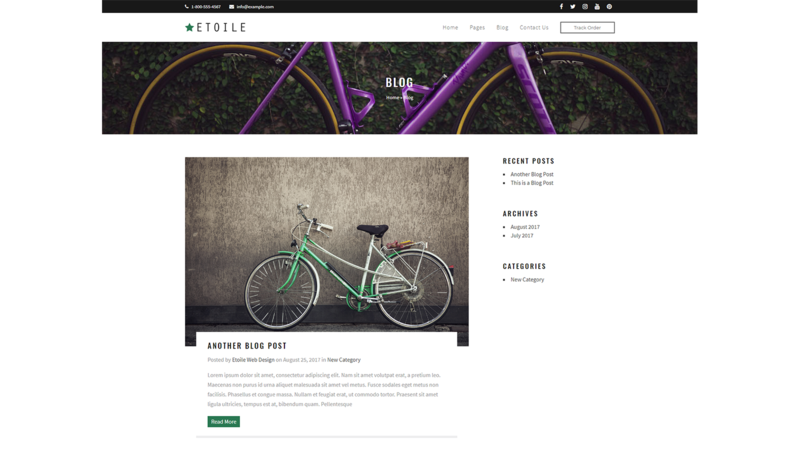 "This theme looks very professional and has some very nice custom features. 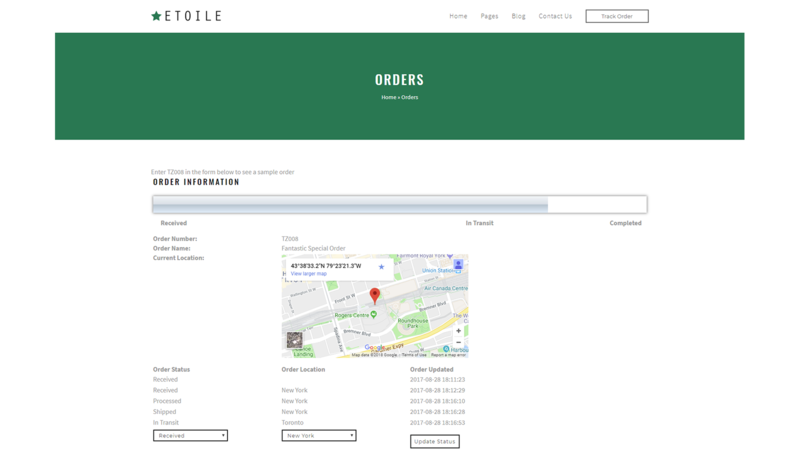 Their support is fabulous and responded within the hour helping me get my site up and running." Integrates directly with the Status Tracking plugin to create the ultimate solution for sites that manage orders, shipping or anything with statuses. 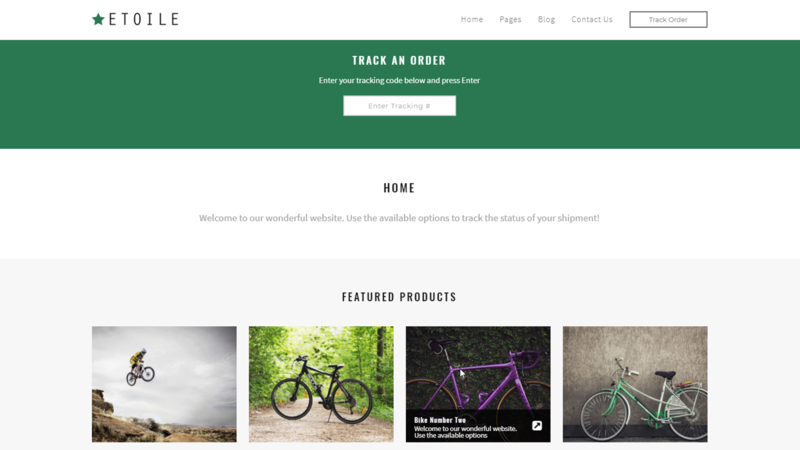 Add an order tracking search field directly on your homepage to allow your visitors to see the latest status about their order as well as a search field in your header, which can be set to track orders, search WooCommerce or search your site. 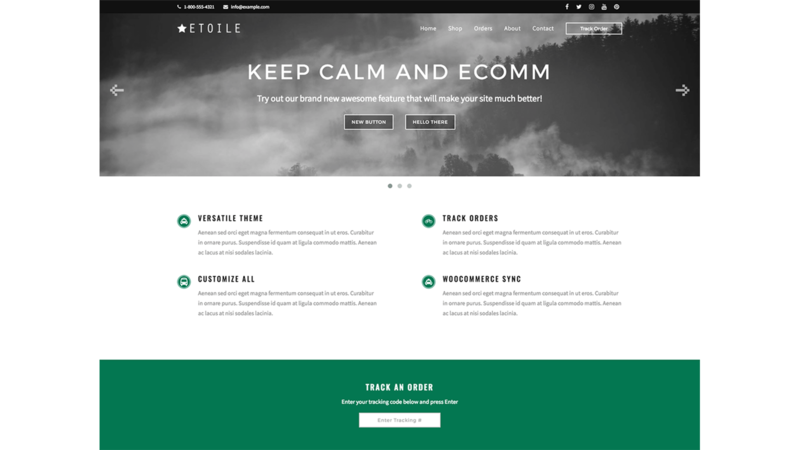 With our intuitive homepage options, built straight into the WordPress customizer, you can choose which elements you'd like to show on your homepage and also drag and drop the different elements into the exact order that makes the most sense for your site. An expanded amount of customization options including a secondary (utility) navigation area as well as a promo bar for the top of your site, breadcrumbs (including Yoast compatibility), a Google map display and contact form for your contact page, easy colour and font selection, as well as the ability to change the labelling of common theme elements. Enter code "EWD Trial" into the upgrade box, or press the "GET FREE 7-DAY TRIAL" button in the plugin dashboard.